We were delighted to welcome Chris King on 22nd September for a fantastic evening at Brigade. 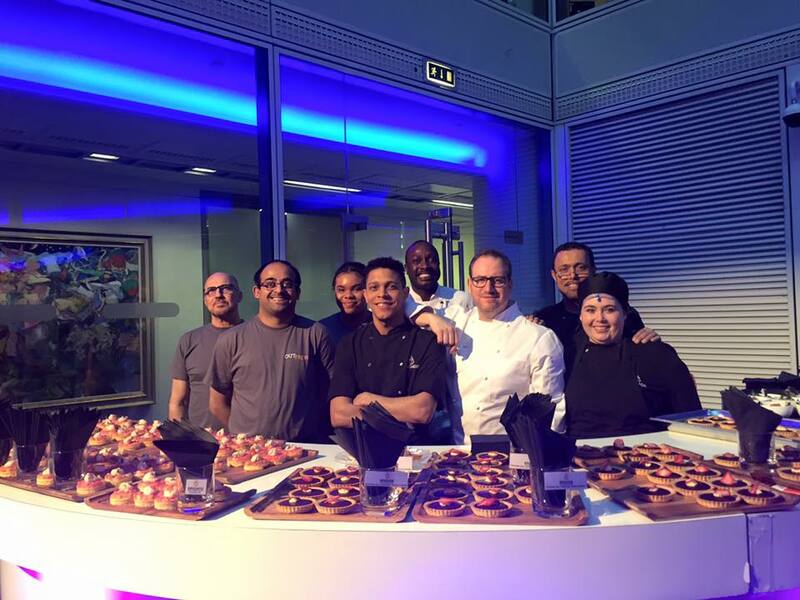 This was the 3rd edition of our Social Enterprise Supper Club where an extraordinary chef cooks alongside our apprentices with all profits supporting the training programmes. On December 4th, we had Mark Hix, a personal hero of mine, who joined us for what was a memorable evening. Mark designed and cooked a 4 course menu alongside our apprentices and all the profits will fund our training programmes. On the 3rd November, Simon Boyle cooked for the Brigade Social Diner Supper Club along with the new cohort of apprentices, all from vulnerable backgrounds. We are committed to bettering their lives through full time meaningful employment at Brigade and beyond. The evening consisted of a fantastic 5 course dinner, showcasing wonderful, local and seasonal produce, along with the awesome team at Brigade. 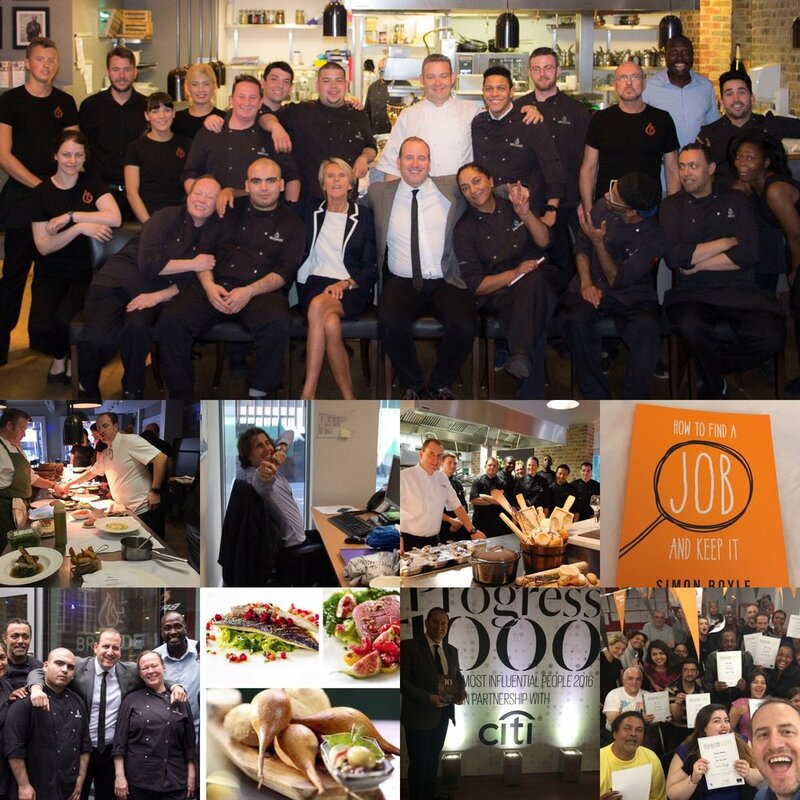 We have now inspired and motivated over 1200 homeless people and employed 120 full-time at Brigade. Thank you to everyone who came and supported us. On October 2nd we were delighted to welcome seven new apprentices to the team at Brigade. They are all completing an NVQ level 2 in professional cookery with professional and personal support from our team. In celebration of Brigade’s 6th year in business and helping many homeless women back into the world of full time sustainable employment, we were delighted to welcome Emily Roux to Brigade earlier this year when she worked with some of our female graduate apprentices for what was a truly unique dinner. The lunch and dinner on the 20th September was a sell out success! As well as Emily launching her latest cookery book at the dinner, we heard many amazing stories and inspirational transitions from our former apprentices as well as tasting some incredible food from one of the countries most famous culinary daughters. A huge thank you to Emily for giving her time to this great event. Earlier this year, we launched a new series of supper clubs called The Social Diner, where we invite an extraordinary chef to cook alongside our apprentices. Brigade was awash with excitement for the first one which saw the Michelin starred chef and Masterchef presenter Michel Roux Jr launch the series on 12th May and needless to say, it sold out. The second event on 30th June was hosted by the Michelin starred Executive chef at London's Goring Hotel, Shay Cooper. Our next event will take place on Friday 22nd September and will be hosted by Chris King, Head chef at The Langham. 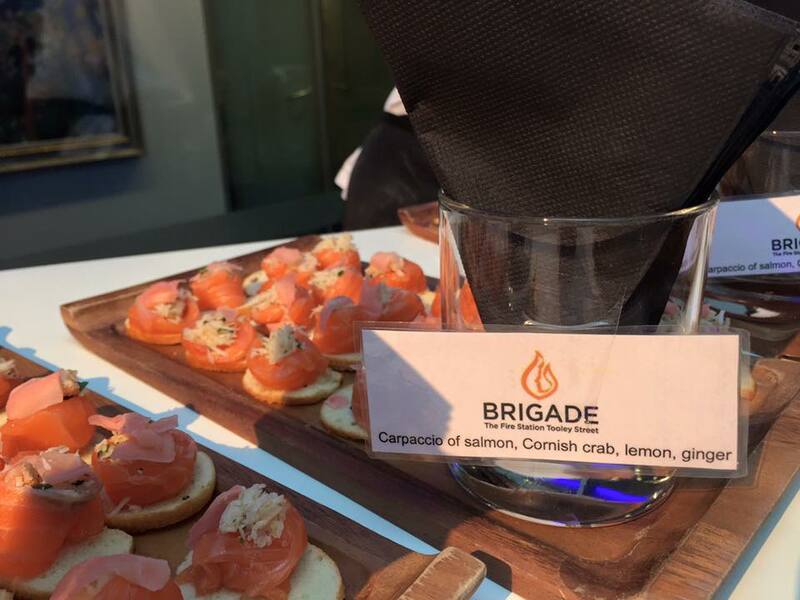 The restaurant took on a completely different vibe on June 27th as we participated in the 'Brigade Takeover' with Barclays. Barclays Hospitality and Leisure team took over Brigade for 2 lunch services getting involved in all aspects of running the restaurant from working behind the bar, in the kitchen and front of house. Everyone had a great time and we managed to pull off two very smooth services! Well done to everyone involved. We were delighted to make a recent visit to Billingsgate Fish Market in East London as part of one of the apprentice away days aimed at inspiring and enhancing learning. Five of our apprentices had a tour around the famous fish market before returning to Brigade for a practical session with Simon, cooking a fish dish and using some of the tips learnt from their trip. Rejected by the dragons on Dragons’ Den, Boyle still managed to find funding for his social enterprise, the Beyond Food Foundation. He runs Brigade on Tooley Street, where he hires and trains the homeless for careers in hospitality. He became a chef at 16, worked as an apprentice at the Savoy, has cooked for Saudi princes and was Unilever’s first ever culinary ambassador. Simon launches his book at Penguin living Career 360. Career 360 took place on the 11th of September and it believes your employees or clients could benefit from this author expertise. By accessing the experience of world-class authors and experts, they help make a positive change – at work, at play and at home. Keep up to date with what we're doing! Sign up below to join our newsletter. Nominated by people from across the UK and farther afield, the invited Change Makers are those who have tirelessly dedicated their time and energy to projects, however big or small, that are making a difference and transforming people’s lives. Southbank Centre’s 2016 Change Makers stand as inspiring examples of how to harness creativity, innovation, courage and determination for the common good. The Responsible Business Awards capture inspiring stories of businesses as a positive force for change, and tell them to a local, national and global audience of millions. Open to companies of any size, sector and scale, the entries are rigorously assessed by over 250 business peers. The results are celebrated at our spectacular galas, known for their entertainment and networking value. All this makes the Responsible Business Awards one of the most prestigious and respected awards in this field. Simon's first book launches this September, published by Penguin Random House. In 'How to get a job and keep it', Simon uses his years of experience to help the reader's endeavors to find a real purpose and happiness in life, and a long term sustainable career to boot. Heston Blumenthal was recently spotted at Brigade - why not come and eat where the best chef's eat! You never know who you might bump into! London has a new Mayor. Khan celebrated his landslide election victory at none other than Brigade, a former fire station just off Tooley Street, to greet his ecstatic campaign workers. It was an honour to have the new Mayor and his team at the restaurant. 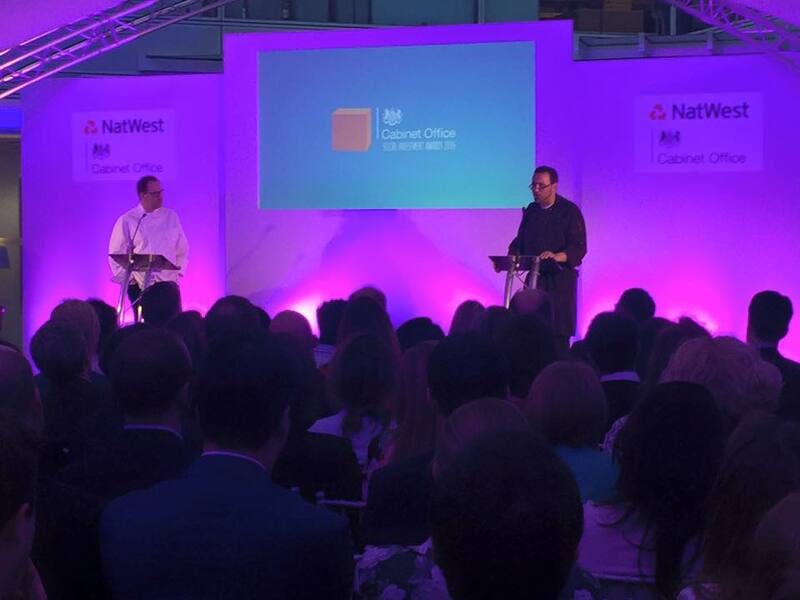 The Cabinet Office Social Investment Awards, supported by Natwest, recognise the impact social investment is having on communities across the UK.